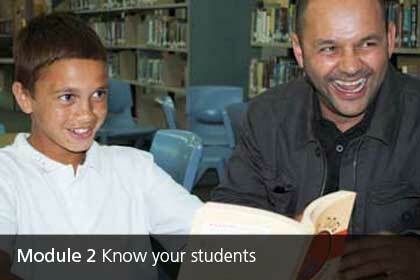 Know your students examines aspects of Australia’s shared history and the diversity of Aboriginal and Torres Strait Islander cultures, communities and perspectives, and the role schooling plays in improving educational outcomes for Indigenous students. Knowing your students is one of the universal principles of good teaching. When we talk about knowing your Aboriginal and Torres Strait Islander students, there is another dimension – learning about language and cultural backgrounds that may be different from our own. Explore the Module 2 topics below through the Topic Overview or Get Started links.